Fresh reports from the UK say that the Manchester United dressing room has turned on Dutch manager, Louis Van Gaal after he reportedly maltreated team’s teenage hero, Marcus Rashford and yet another hardworking team member. 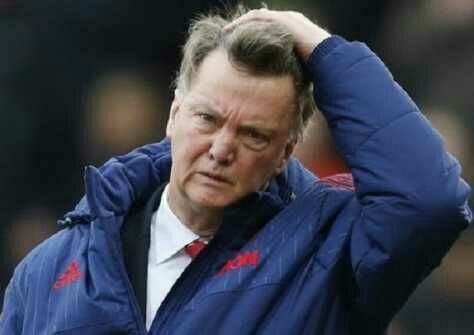 The reports claim that the Dutchman has now lost the club’s dressing room with many players already in mutinous mode. According to The Sun UK on Tuesday, rather than accepting his own tactical errors in the humiliating 3-0 defeat to Tottenham Hotspurs after fielding defender Ashley Young in a striking position, Van Gaal pinned the blame on his players when he started making tactical changes at half-time against Tottenham. The tabloid reports that ‘by the time the players got back to the dressing room after Sunday’s 3-0 mauling at White Hart Lane, United’s furious playershad turned on him’ and ‘respect for Van Gaal, supposedly one of the great managerial minds, has gone’. The respected publication reports that these players are now openly questioning the tactician, wondering out loud how the club can seriously keep him beyond the end of the season. The players are particularly displeased with his treatment of Marcus Rashford, whose five goals have got Van Gaal out of jail in recent weeks. The Dutchman went at the 18-year-old and told the forward he was spending too much time hunting the ball in wide areas. Van Gaal also told the striker he had failed to make any impression on the Premier League’s best defense by making runs behind Toby Alderweireld and Jan Vertonghen. Rashford, who scored the winner against Manchester City on March 20, had been starved of service from Juan Mata and Anthony Martial in the first half and instead of giving Rashford the chance to rectify it after the break, Van Gaal humiliated the kid by hauling him off at half-time. What followed stunned United’s players because, instead of promoting Martial to centre-forward, he put Ashley Young up front. Over the next 45 minutes LVG bamboozled Young — making his first appearance since victory at Liverpool on January 17 — by playing him in three different positions. After this savage result, which left United four points off fourth-placed City, there is open dressing-room dissent again.